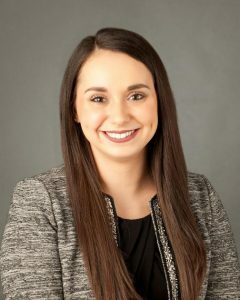 Katie concentrates her practice in the areas of insurance defense and worker’s compensation. Specifically, Katie focuses her attention on the defense of professional liability, premises liability, and medical malpractice cases. Her comprehensive legal experience includes pre-suit investigation through mediation, trial, and appeal. In her spare time, Katie coaches figure skating.